The fund will invest in a basket of bonds selected from a universe of companies created by taking out companies with a negative social impact (e.g. armaments, tobacco, alcohol), and crucially favouring companies impacting society and the environment positively. The fund manager is assisted by an experienced sustainable team which consistently review the impact of the selected companies, helped by Sustainalytics ESG research. We like the fund as it has a strong investment process which allow the fund managers to invest across the credit spectrum and also adjust their interest rate exposure. The fund has also outperformed peers over the long term. 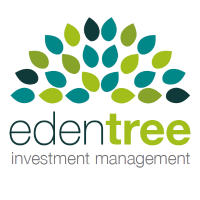 Robin was appointed CIO of the firm in 2011, having worked at Edentree (formerly Ecclesiastical) Investment Management since 1988. He has over 30 years of experience in the sector, focused on SRI investing and has been a fund manager since 1990. He was Global Fund Manager of the Year 2010, FE Alpha Manager 2012 and has recently been listed as one of Citywire’s top 10 most consistent managers over the past 10 years. 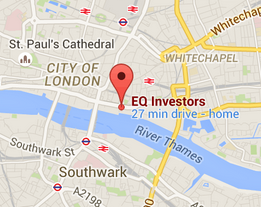 Chris is a fund manager at Ecclesiastical focusing on UK fixed income and European Equities. Chris graduated in 1995 with an MSc in Economics from University College London, then joining Ecclesiastical in 1996 as a Research Assistant. He began managing funds in 2007 and is a CFA charterholder.